When managing a hotel or lodging establishment, often merchants will need to verify prior to check-in whether the card that the guest will be using is valid and connected to a viable account. To handle these tasks, within the Lodging App, there is the ability to verify a card with Account Verification and there is the concept of Auth-Only for a specified amount. 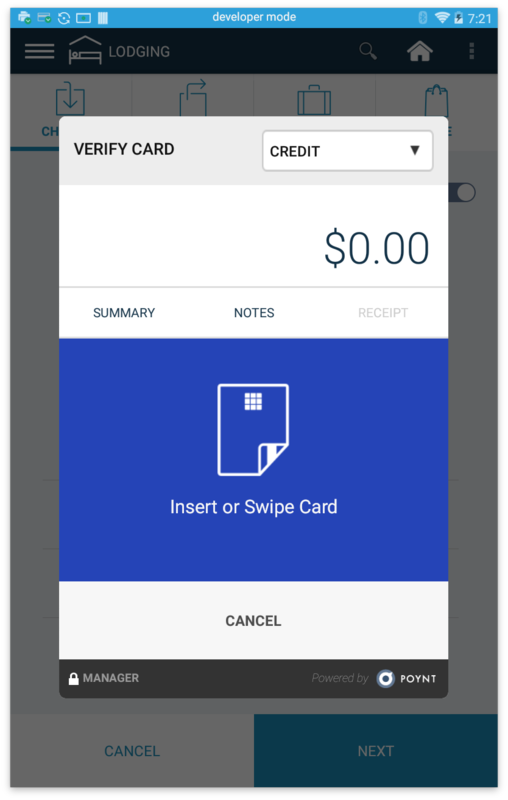 In the Lodging app, merchants can verify that a card and account are valid by selecting Account Verification and charging $0. This is used in situations where the merchant needs to verify that the customer has a valid payment method by reviewing the AVS/CVV Response Codes for manually entered or keyed transaction. 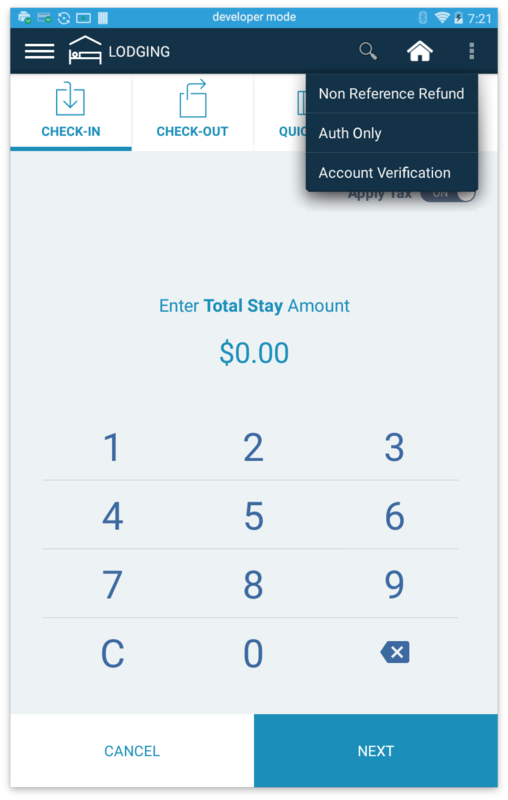 Step 1: In Lodging App within the 3 dot menu on the top right corner, select "Account Verification"
Step 2: The Verify Card screen will display and $0 will be the default amount. Step 3: Since this process is often done with the guest over the phone, select Manual Entry from the Credit drop down box (See Above Image). Then the merchant screen will prompt you to enter the card information. Complete the manual entry flow. 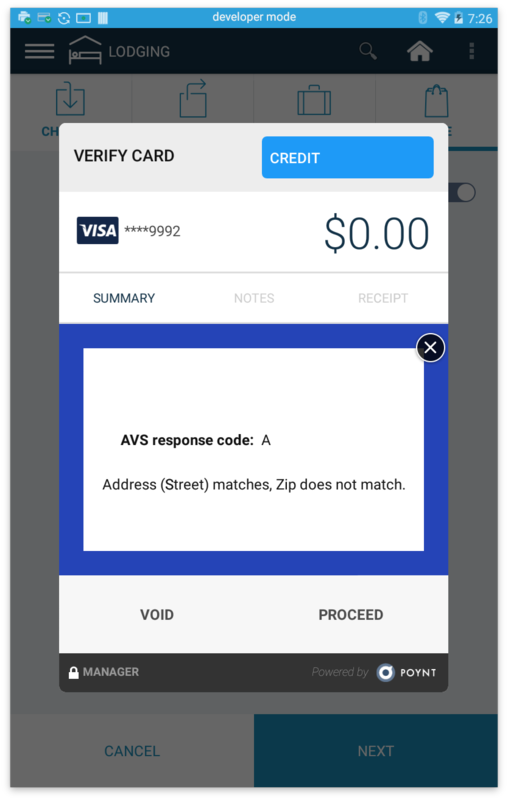 Step 4: Upon completing the manual entry flow for Account Verification, an AVS and/or CVV response code will display. To get more details about these codes, select "Details". 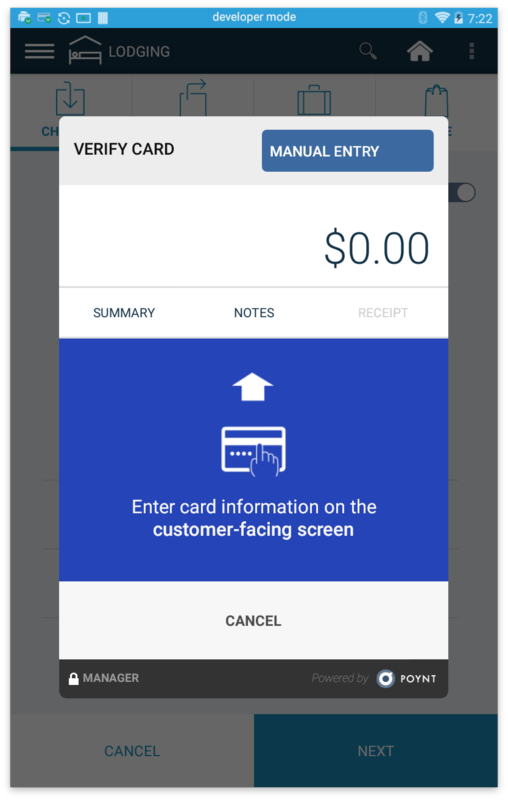 In the Lodging app, merchants can verify that a card and account are valid by selecting Auth-Only and entering the amount to be authorized. This is used in situations where the transaction amount may be large and the merchant needs to verify that the customer has a valid payment method by reviewing the AVS/CVV Response Codes for manually entered or keyed transaction. Step 1: Enter the amount you would like to authorize and then select Auth-Only from the 3 dot menu in the top right corner. 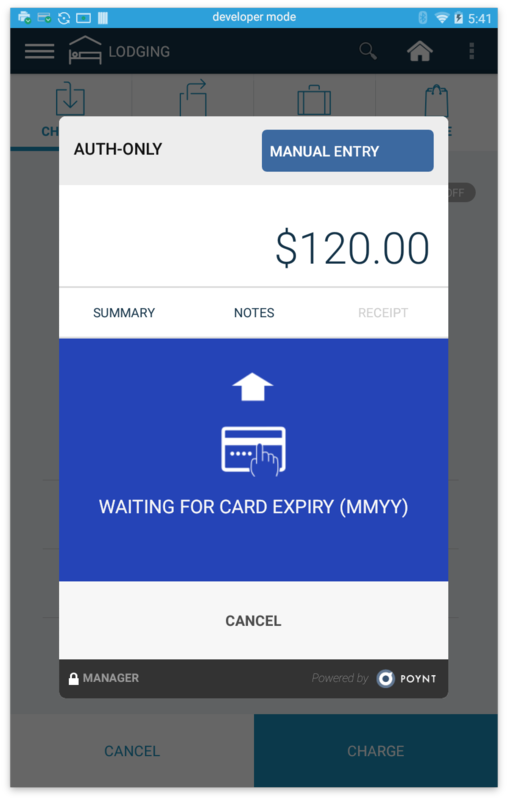 Step 2: Since this process is often done with the guest over the phone, select Manual Entry from the Credit drop down box. Then the merchant screen will prompt you to enter the card information. Complete the manual entry flow. 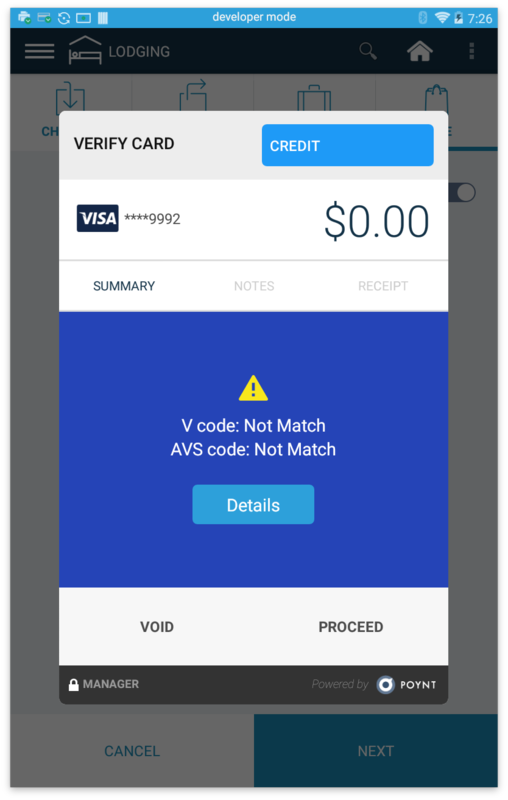 Step 3: Upon completing the manual entry flow for Account Verification, an AVS and/or CVV response code will display. To get more details about these codes, select "Details".